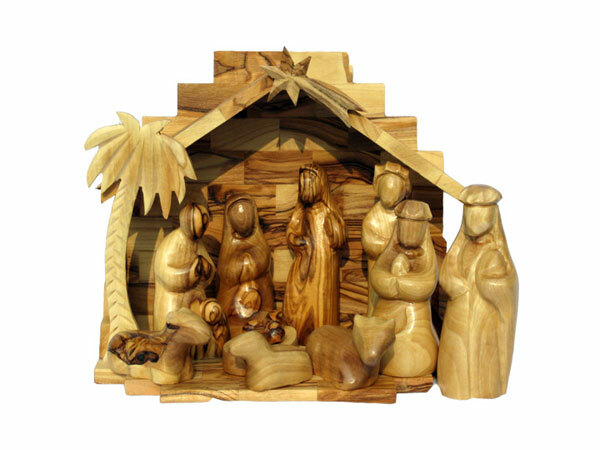 DescriptionIn this lovely natural olive wood Nativity, the beauty of the wood shines through. 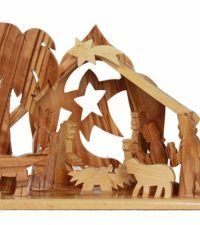 Mary, Joseph, three Wise Men, and a Shepherd are included, along with Baby Jesus and a separate manger, plus three animals, including a sheep, a cow, and a donkey. The figurines vary in height from 2 to 4.5 inches. 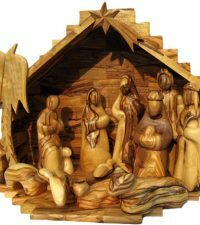 The smooth faces of the figurines allow each individual who views them to personally envision the way these holy people must have looked. 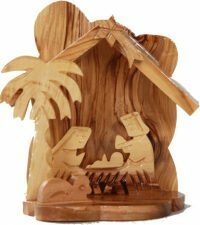 A powerful tool for meditation and prayer that can bring you closer to the Newborn King, this beautiful scene is right at home with any decor. 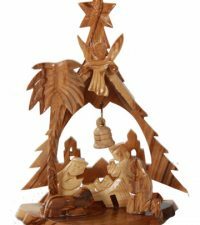 The olive wood used becomes lovelier with age, meaning this heirloom quality Nativity will be a family favorite for years to come.